To quote Aminata Diallo from Lawrence Hill’s award-winning novel, The Book of Negroes: “When it comes to understanding others, we rarely tax our imaginations.” I’m sure most of us would agree this is a fair point. Even when we try to imagine the perspectives of others, it can be difficult to wrap our heads around concepts we haven’t experienced or don’t understand. That is why it’s so valuable to have literature from a rich and diverse variety of people. Through the magic of immersing ourselves in the worlds created by authors, we gain the ability to see our own world through different lenses. Suddenly, our views gain new depth and nuances. By expanding our views of the world, we enrich ourselves and become better friends and neighbours. Here are a few recent works from authors who have added their perspectives to Canada’s National Collection. The son of black and South Asian migrants from Trinidad, David Chariandy takes a break from his award-winning fiction to draw upon his personal and ancestral past. In this touching non-fiction work dedicated to his daughter, Chariandy talks about navigating and cultivating a sense of identity in Canada. Tuscarora writer Alicia Elliott is a bold and visceral author. Drawing on intimate details from her own life and her experience with intergenerational trauma, Elliot’s A Mind Spread Out on the Ground offers unique insight. In this book, Elliot examines every aspect of life, asks tough questions and touches on topics like the ongoing legacy of colonialism. Mark Sakamoto’s memoir details his journey to forgiving his mother, who suffered from alcoholism. By inviting readers into his family’s past, starting with his grandfather’s experience as a Canadian POW held by the Japanese army and his grandmother’s experience as an internee – born in Canada of Japanese ancestry – held by the Government of Canada during during the Second World War. Sakamoto discovers a common thread of forgiveness and traces how it led to his very existence. A winner of Canada Reads 2018, Forgiveness is a family’s history understood. Marc-André Chabot’s recent work describes his long-time friend Étienne Boulay’s tortuous journey as he battled addiction. However, this is far from a book on addiction. It’s an honest look at how Boulay’s life shaped the man he is today and shows the importance of having a strong team around you. Prizewinning poet Doyali Islam’s second book, heft, is lyrical and innovative and includes works done in her original “parallel poem” style. This compilation includes works published by the Kenyon Review Online and The Fiddlehead, as well as poems that won national contests and prizes. Billy-Ray Belcourt is an award-winning poet and CBC Books named him as one of six Indigenous writers to watch in 2016. In this stunning compilation, Belcourt brilliantly navigates themes of queerness, desire and survival. This Wound is a World won the 2018 Griffin Award for Excellence in Poetry as well as the 2018 Robert Kroetsch City of Edmonton Book Prize. Things are Good Now is the debut collection of short stories by Djamila Ibrahim, an Ethiopian-born writer who moved to Canada in 1990. Ibrahim examines themes like remorse, race, hope, friendship, human relationships and the power of memory through the lens of the immigrant experience. Engaging and poignant, each story has an authenticity that belies its fictional status. Saints and Misfits is an empowering coming-of-age story told through the lens of a teenage Muslim girl. This young adult novel tackles real and difficult issues like sexual assault and abuse of power while also exploring teenage anxiety and identity. S.K. Ali’s debut novel is full of faith and devotion and worthy of its position on the longlist for Canada Reads 2018. In this striking French language portrait of feminism, Martine Delvaux examines the influence of the film Thelma and Louise. Through film anecdotes and personal reflections, Delvaux contemplates how her view of the film changes. This work reminds us of how important it can be to reclaim ourselves when facing a society ready to make us self-doubt. This gorgeous picture book tells the origin story of Takannaaluk, the mother of sea mammals and the most important being in Inuit mythology. Respected elder Herve Paniaq’s vivid storytelling comes to life through the work of acclaimed Inuit artist Germaine Arnaktauyok. To borrow these books, visit your local library or search Library and Archives Canada’s new catalogue Aurora. This poet’s mixed Mohawk-British heritage helped shape her vision for Canada’s future. She writes that Indigenous and British-Canadians should form a “brotherhood.” And all should be loyal servants—together—of the British Empire. As a child, I was an obsessive reader—my friends called me a “reader-bug” because I always had my nose in a book. Perhaps that’s why I became an English professor—so that I could read as much as I wanted, and encourage others to do the same. I think that it is especially important to read works by Canadian writers, who help us to understand our history and who we are today. “Brant” was one of Pauline Johnson’s first published poems. 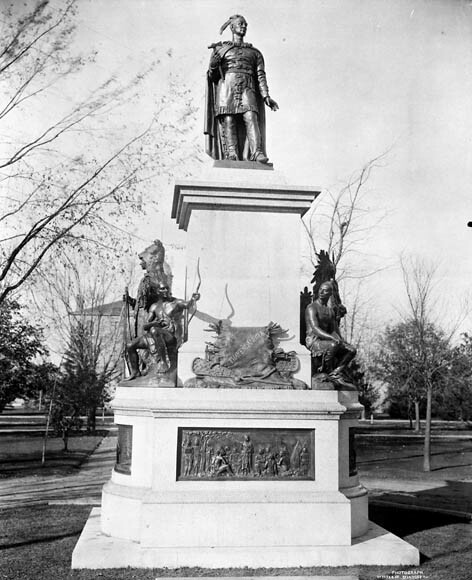 She composed it for the unveiling of a statue of the Mohawk leader, Joseph Brant, in the town of Brantford on October 8, 1886, and it was included in a souvenir brochure prepared for the occasion. During Johnson’s lifetime, fans of literature often collected autographs from their favourite writers. Regarded as one of Canada’s most important poets, Johnson not only signed many copies of her books for her admirers, but also frequently wrote out her poems in longhand for them to keep. Tell us about another related item that you would like to add to the exhibition. 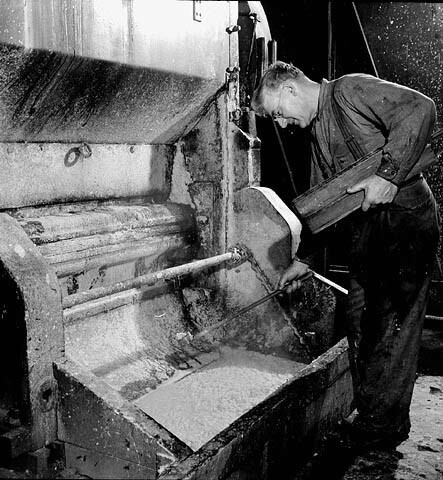 LAC holds a large collection of letters that L.M. Montgomery (author of Anne of Green Gables) wrote to her friend, George Boyd Macmillan, a pen pal who lived in Scotland. This correspondence lasted for many years, from 1903 to 1941. Montgomery’s letters are very long and newsy, discussing everything from the books that she read and the places she visited, to the doings of her family and her beloved cats. Over the years, the tone changes from youthful optimism to sad disappointment as she lives through the First World War and the Great Depression, giving us an inner view of the Canadian experience during a tumultuous time. Montgomery’s distinctive handwriting is less stylish than Johnson’s elegant script, perhaps reflecting her early years as teacher, when she needed to show children how to form their letters. Carole Gerson is a professor in the Department of English at Simon Fraser University. 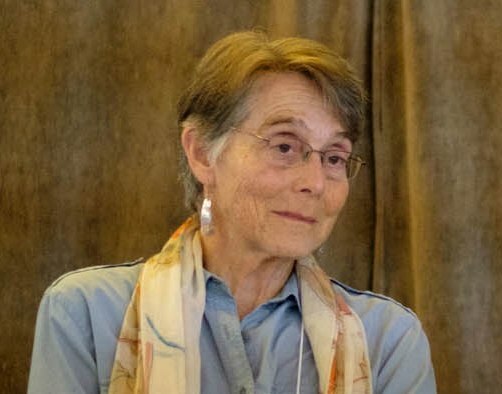 Co-editor of Volume 3 (1918–1980) of History of the Book in Canada / Histoire du livre et de l’imprimé au Canada, she has published extensively on Canada’s literary and cultural history with a focus on women writers, including L.M. Montgomery and Pauline Johnson. Her book, Canadian Women in Print, 1750–1918 (2010), won the Gabrielle Roy Prize for Canadian criticism. In 2013 she received the Marie Tremaine Medal from the Bibliographical Society of Canada. 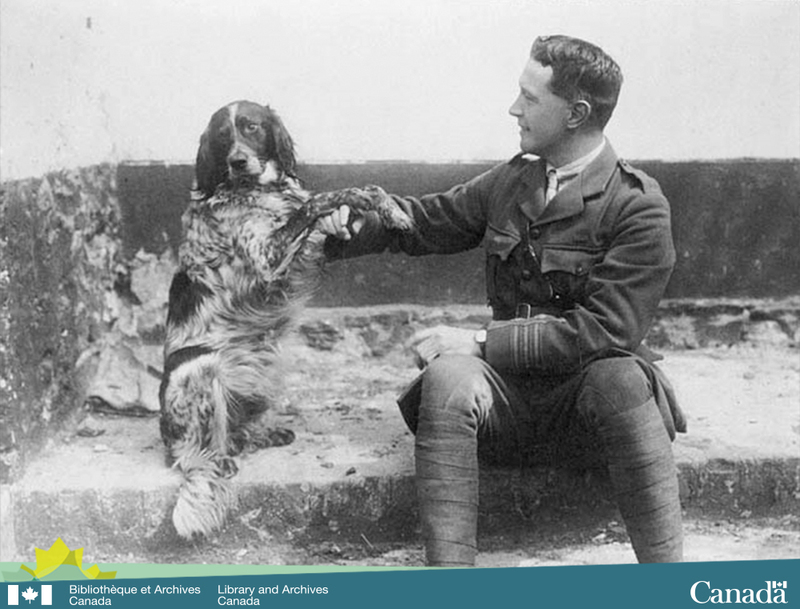 John McCrae’s “In Flanders Fields” is one of the best-known literary works to emerge from the First World War. The poem’s most lasting legacy is its popularization of the poppy as a symbol of remembrance for those killed in war. McCrae is thought to have written the poem during the second week of the Second Battle of Ypres while he was stationed at what later became the Essex Farm Advanced Dressing Station, just north of the town of Ypres. McCrae, a Major and military doctor, was second-in-command of the 1st Brigade Canadian Field Artillery. The exact circumstances in which the poem was written, however, remain the stuff of legend. 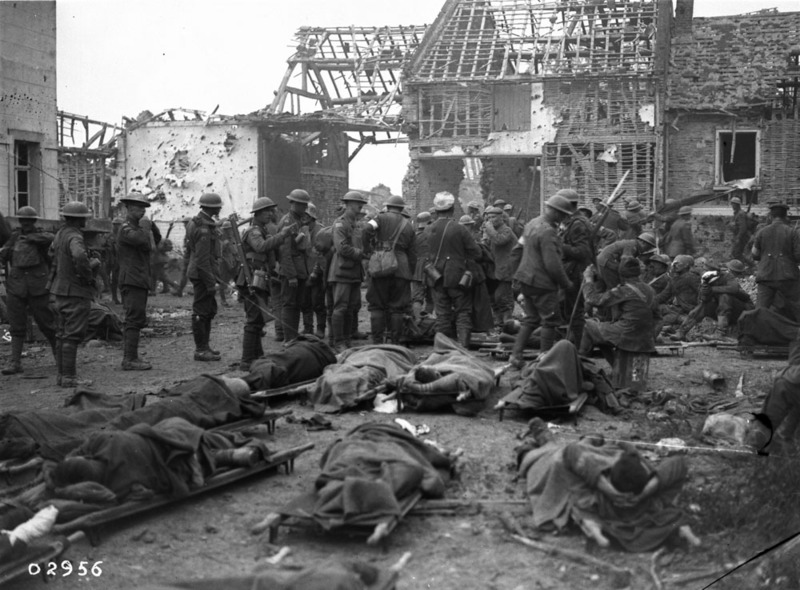 The most cited stories of the poem’s origin centre on McCrae’s grief over the death of his friend, Lieutenant Alexis Helmer, an officer of the 1st Brigade Canadian Field Artillery who was killed by a direct hit from a German shell on the morning of May 2. One account says that McCrae was so distraught after his friend’s funeral (for which McCrae, himself, said the committal service in the absence of a chaplain) that he composed the poem in just 20 minutes as a means of calming himself down. Another story has it that McCrae was seen writing his poem the next day, May 3, sitting on the rear step of an ambulance while looking at Helmer’s grave and the poppies that had sprung up near the dressing station. 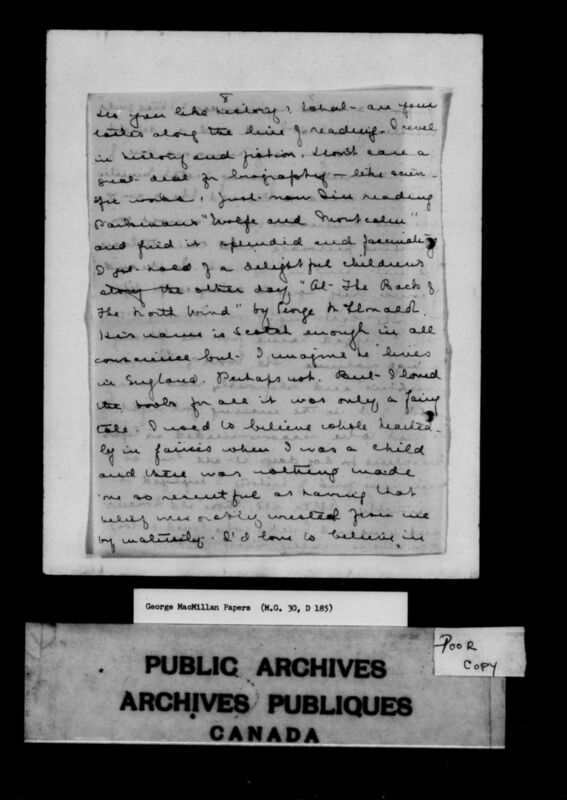 His commanding officer, Lieutenant-Colonel Morrison, tells a third story: that McCrae drafted his poem while passing time between the arrivals of wounded soldiers. 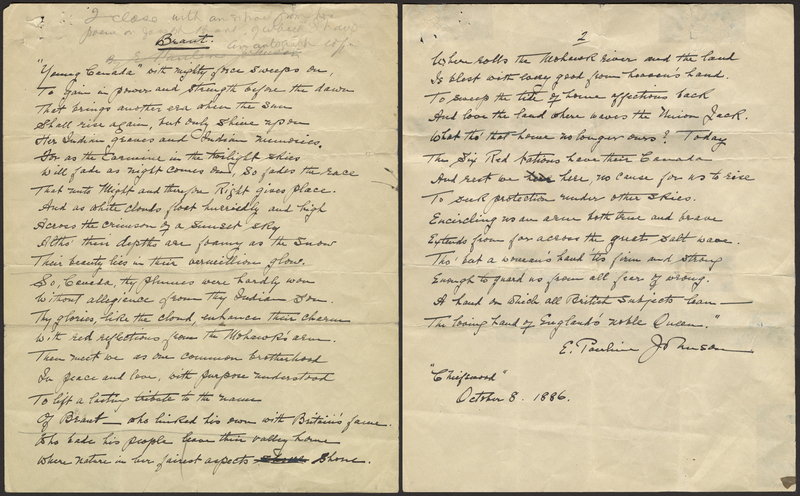 Adding to the mystery is the fact that the Imperial War Museum in England has a tracing of an original holograph of the poem, written by McCrae for Captain Tyndale-Lea, which claims that McCrae wrote the poem on April 29, 1915, three days before Lieutenant Helmer’s death. How the poem was submitted for publication is also a matter of speculation. By one account, McCrae threw the poem away but it was recovered by another soldier and sent to a London newspaper. Possibly McCrae himself submitted it, as he made a number of handwritten copies to give to friends shortly after drafting it. The poem was printed by Punch magazine on December 8, 1915. Within months it became the most popular poem of the war. 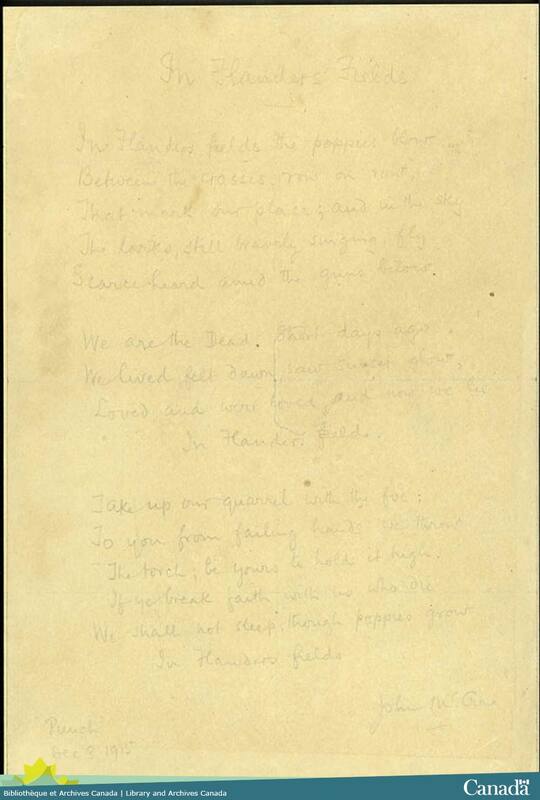 While no institution is known to have John McCrae’s original first draft of the poem, Library and Archives Canada (LAC) has two manuscript versions of it, both written and signed by McCrae. One is dated December 8, 1915 and is part of a collection donated to LAC by Major-General Sir Edward W.B. Morrison, who was McCrae’s friend and fellow officer. The other is typed on paper and is part of a collection of documents donated by James Edward Hervey McDonald, an original member of the Group of Seven painters. 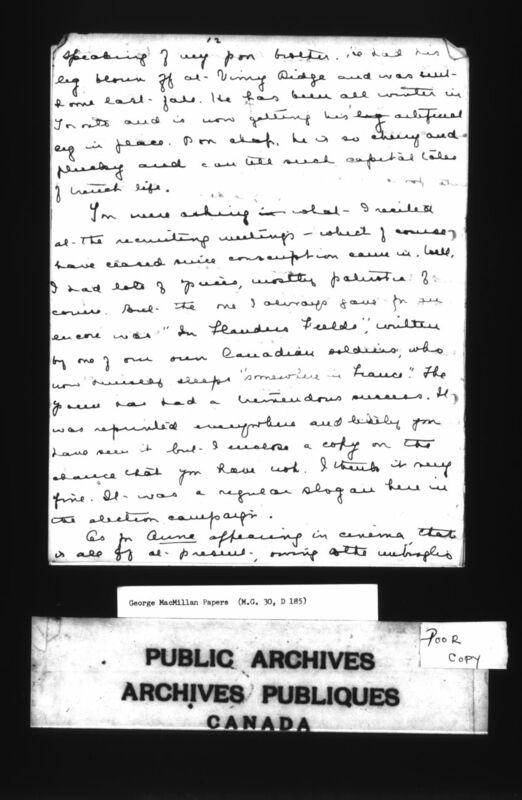 LAC also holds an extensive and richly detailed collection of John McCrae’s letters and diaries, spanning much of his life, from childhood to shortly before his death from pneumonia in January 1918. View the video: On the Road to 2017 with Library and Archives Canada – Fighting in Flanders – Gas. Mud. Memory. The Governor General’s Literary Awards are given annually to the best English-language and the best French-language book in each of the seven categories of Fiction, Literary Non-fiction, Poetry, Drama, Children’s Literature (text), Children’s Literature (illustration) and Translation. Every year, Library and Archives Canada works to ensure that each Canadian nominee is acquired, catalogued and made available prior to the final announcement of the winners. Usually, this is done through legal deposit, but in some cases the nominated books are not published in Canada and need to be acquired through other means so that a complete selection of the Governor General’s nominees are preserved for future generations.